The problem with some micro pubs is that they’re, well, a bit too small. This might sound like stating the bloody obvious but if theirs no room to swing a cat, how are you supposed to safely deliver a pint to your mates? Thankfully, that isn’t an issue in this place. 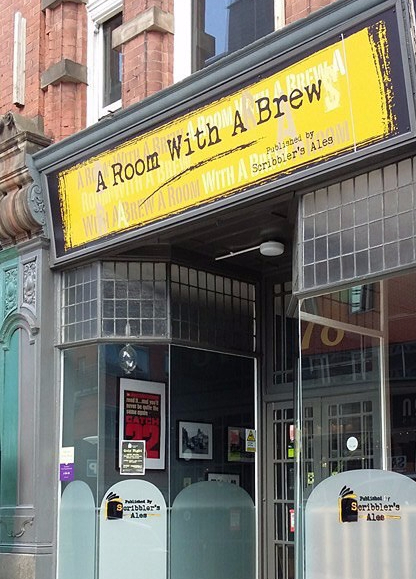 Opened in 2016, The Room With A Brew filled one of the many empty shop units on Derby Road. Owned by the Stapleford-based brewery Scribbler’s Ales you can choose from one of their own literary themed beers like Beerfest at Tiffany’s or try one of three or so guest ales. A recent refurbishment has seen the old furniture – a mixture of church pews, club chairs and stools – replaced with more sensible and comfortable bench seating, meaning they can fit in a few more people. And cats. There’s also a small outdoor seating area on the wide pavement of Derby Road. Music? No – you can hear yourself (and everyone else) talk here. 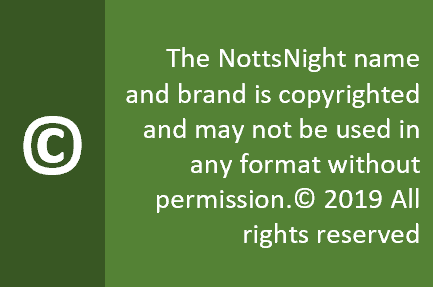 Although there is entertainment of sorts – with a quiz night and, occasionally, a spoken word open mic night. Food? Eat before your come – it’s sausage rolls and pork pies. Customers? A proper boozer’s pub. Older blokes and women who like their ale mix with students who realise there’s more to life than horrible lager. Opinion? A great addition to the Derby Road and Canning Circus pub crawl circuit, the Brew has thrived so far. Watch out for opening times though – they tend to be a little earlier than some neighbouring pubs.